This heart-warming bedtime story about an elephant-shrew, Mister Sengi, and his quest for greater stature, takes children on a magical moonlight tour through the bushveld. Encounters with animals both helpful and menacing carry the reader on to the fairy-tale ending, which sees Mister Sengi safely tucked up in bed. This companion volume to David du Plessis‘ earlier Mister King’s Incredible Journey will enchant children with its delightful illustrations. Du Plessis‘ carefully observed animals evoke both the peace and the terror of the bushveld, and the captivating images will become firm favourites with small children. 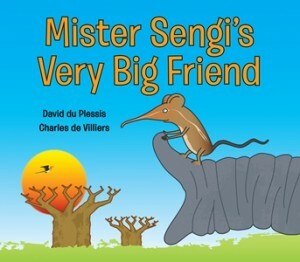 Mister Sengi’s Very Big Friend is sure to become a regular choice at bedtime. 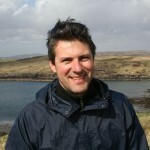 Charles de Villiers works in computer systems design and is a published science writer. His ready and whimsical sense of humour finds particular focus in children’s writing. David du Plessis has illustrated (and also written) a number of books for children. His sensitive, evocative illustrations of wildlife introduce young readers to the magic of nature.